So I’ve been struggling with trying to record my own crochet tutorial (my laptop camera just wont cut it!) and decided to scrap my idea and try to find a nice tutorial on YouTube. Crochet is so much fun that once you learn how, you will be making cool stuff in no time flat! So if you have never crocheted before I would like to go over a few items you will need to start your journey. First off, you will need a set of hooks, I chose the Susan Bates brand at Beverly’s Crafts. They are around $7-$10 a set. You may buy just one hook to start with but it is nice to have a variety of sizes for different projects. Trust me, you will want to buy a set! 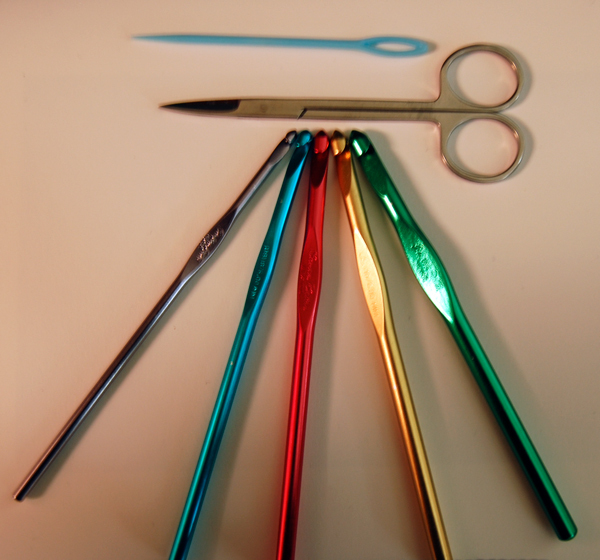 You will also need a pair of scissors for clipping and a tapestry needle for weaving in the ends of your work. 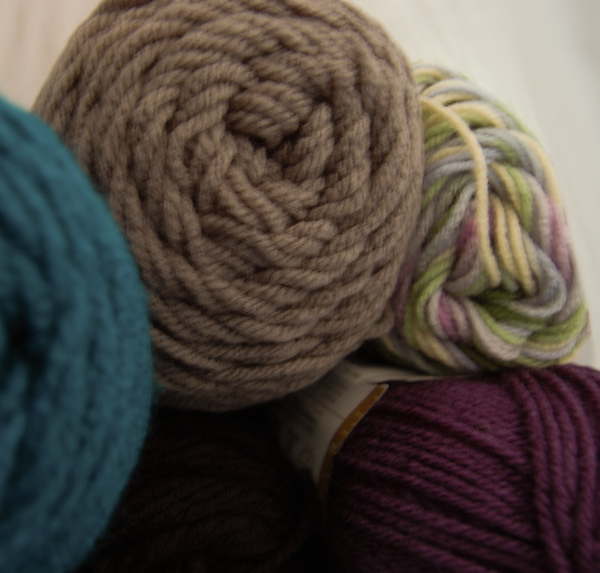 I recommend you buy some light colored acrylic yarn to start with. I say light colored because anything too dark will be hard to work with for the first time as it is hard to see your next move when working with dark colors. Red Heart super saver is a great choice and it is priced perfectly! Ooops, I have almost run out of battery life for my laptop but I will be back to post more. Next post will be how to make a slip knot and how to start a chain stitch. 🙂 Thanks for your patience as I set up this new blog, stay tuned!